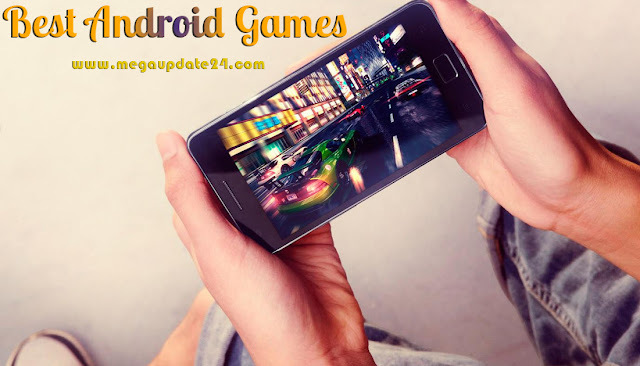 Actually, it was not too easy that makes a list of putting the Best Android Games for your Android phone. You can enjoy those games without any cost and they are absolutely fantastic. Yes, some of these are premium I will share with you 2 in 1 list. Nowadays gaming on mobile has been improving just like a miracle with Android. Any technology that came before it. In 2015 it was a ridiculous matter for us. If you had told someone that you could play Grand Theft Auto on a mobile? He probably would’ve been laughed. We are the lucky cause of some of the hottest top developers are available on Google Play Store. Without any doubt here are the Best Android Games available right now and all time. Those every android lover and the owner should download and install on their android devices. Crashlands is a game nearby COC(Clash Of Clans). It was released in 2016 and it's already among the best Android games ever made in google play store. It features ends up crash landed on an alien planet. Your work is to find out what's going on. You should build yourself a base, collect various items and save the world from a twisty plot. Its best part is there are no in-app purchases to get in the way. It has an RPM element for development its character. Grand theft auto sand Andreas is a pretty and awesome game on Android phone or tab. The Grand theft comes with an open world to explore. Rockstar Games also included controller support, graphics settings, and cloud save support. This time, Minecraft is a most popular game all around the world. It has nice features and good graphic for playing. Minecraft puts you in a giant world where you mine stuff, build stuff and do pretty much whatever you want. There is a survival mode also. When it comes to the Android app it also no in-app purchases. Soulcalibur is one of the more popular and recognisable fighting Android game. It contains improve graphic from the original. The on-screen controls work surprisingly well. Price is a little bit high from others but there are no in-app purchases. The largest game in the room series is the best android games. The room is beautiful puzzle game those people who have never played the game before. You progress from room to room and solve their puzzles until you win the game. The game includes cloud saving, multiple profiles, alternate endings and other options. Drag Racing is a 3D car racing game on Android. Here you just need to try to reach the finish line faster than the others. Also, you can play it on the online against people around the world. If you like to play racing games it will be a perfect game for you. It is totally free for you on google play store. Triple Town is an incredible game for Android. It is a strategy game for Android in which your goal is to build the best city on a screen. It's a game where you make a tree, a house and a city with others features. Angry is one of the best android games of all time also it is free for a player on google play store. It also a top game on Android platform. This games the birds is want to destroy everything with their powerful eggs. It is an interesting game for you. Fruit Ninja is one of the most addictive games on Android also casual. It's a free game. You can download it without any cost. There are three action modes to play with its beautiful graphic and addictive gameplay. It is a fun game for all kind of human. Dead Trigger 2 is a shooter game on Android where you will have to survive a team. The game has a new virtual control system ever. It is also an awesome and dedicated game for the android lover. These are the top 10 Best Android Games for all android lover. I damn sure that you will like it so much if you run and play these games on your Android devices. Hopefully, all of you are enjoying it. Don't forget to share this post with your buddies in social media.